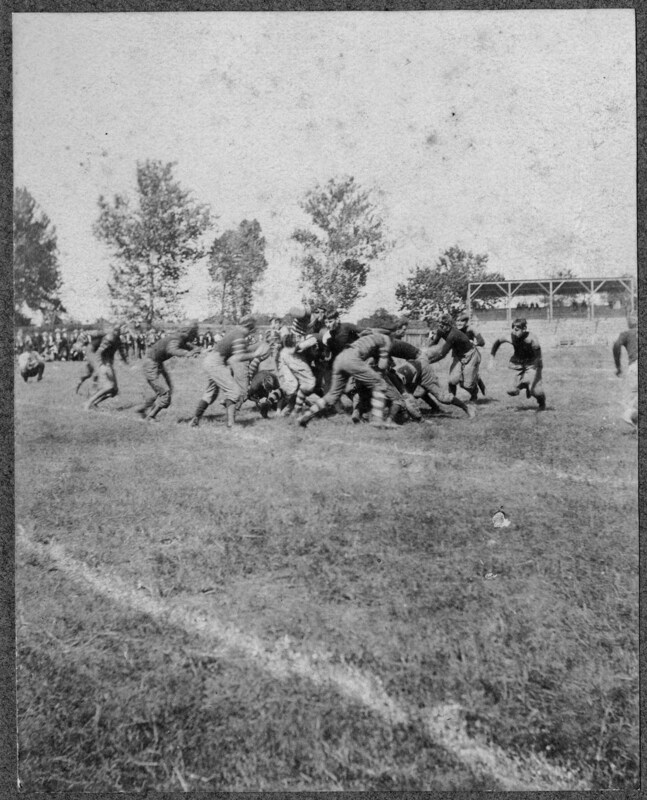 On October 26, 1895, UNC fullback Joel Whitaker threw the first forward pass in football to his teammate George Stephens. The history-making throw happened in Atlanta where the Tar Heels were playing the University of Georgia Bulldogs. Whitaker was punting from the Carolina end zone and, to avoid the Georgia players charging him, tossed the ball forward. As luck would have it, Stephens was the one to catch the toss. It probably looked to many in the audience like the ball was knocked out of Whitaker’s hands and that the whole situation was an accident. After catching the pass, Stephens sprinted 70 yards down the field, scoring a touchdown and stunning his opponents. The pass was then illegal, but despite Georgia coach Glenn Warner’s best efforts to get it thrown out, the touchdown stood since the referee hadn’t seen the pass. 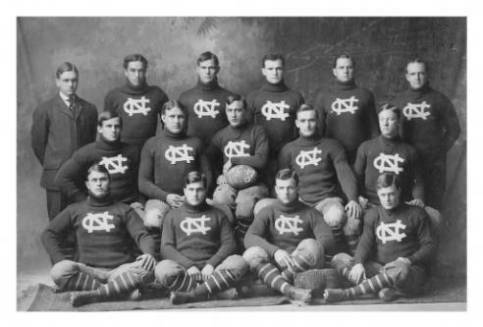 Legendary athlete and coach John Heisman happened to be in the audience that day and, after he saw the fateful throw, spent years lobbying the predecessor organization to the NCAA to change the rules. That didn’t happen until 1906 when the forward pass was legalized as part of an overhaul of college football’s rules.